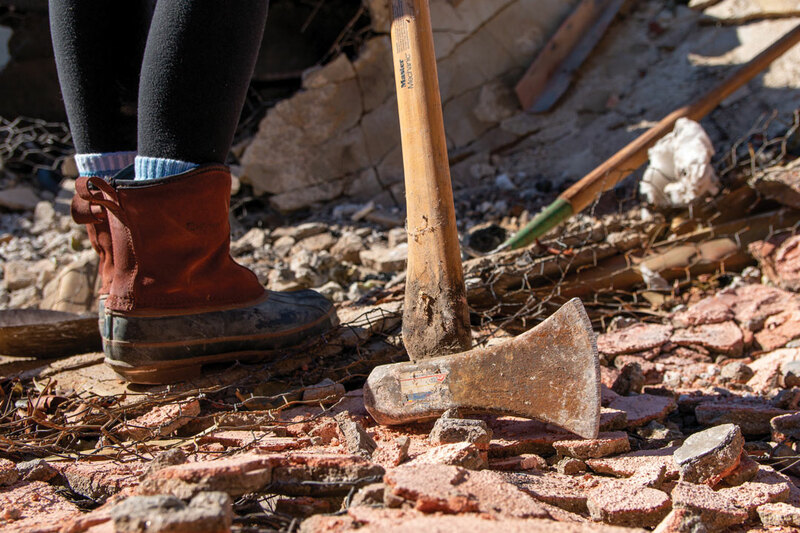 Lauren Shelburne | Banner | Resident walked the remnants of Bell Canyon with tools in hand ready to help their neighbors in need. 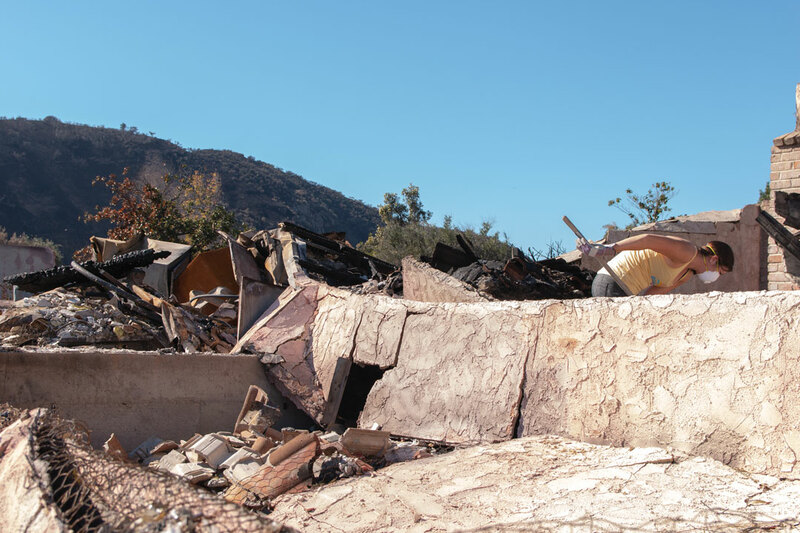 A common bond of tragedy brought together new friends as they dug through debris to try to find what remained of their homes after the Woolsey Canyon Fire quickly ripped through the hillsides dividing Los Angeles and Ventura counties. Fires raging across California the past month have now been 100 percent contained, according to the California Fire Department. Two major blazes ran through Northern and Southern California both igniting Nov. 8. The Camp Fire in Northern California’s Butte County burned for 18 days and Southern California’s “Woosley Fire” in Ventura and Los Angeles counties lasted for one week. Both fires devastated multiple cities, igniting homes, commercial buildings and injuring residents, firefighters and causing fatalities. The Camp Fire started in the Plumas National Forest. The fire is marked as one of the deadliest blazes in California’s history destroying 13,972 residencies and 528 commercial buildings. At least 85 people were killed while more than 290 people are still considered missing. Butte County Sheriff Kory Honea in a press conference Nov 21 said the list of individuals missing is dynamic and changes as new information continues to surface. “But I’m encouraged by the fact that we’re continuing to locate and account for more and more people,” Honea said. The town of Paradise, a small city nestled amid the Sierra Nevada Mountain Range, was destroyed by the fire. The Woosley Fire ignited near Simi Valley and caused heavy damage to multiple cities, including celebrity housing in Malibu and Calabasas. The Woolsey fire took three lives, injured three firefighters and destroyed 1,500 structures with another 343 damaged. In total, the fire burned 96,949 acres. Lynette Gebler, West Hills resident in LA County, said the cities surrounding and including West Hills were evacuated, but she decided to stay in her home in an effort to protect it. “We could see the fire burning and we decided, ‘We’re watching the fire; we’re watching the winds; if there are any embers we can put out,” Gebler said. Eventually, the streets were blocked off and it was too late to try to leave. 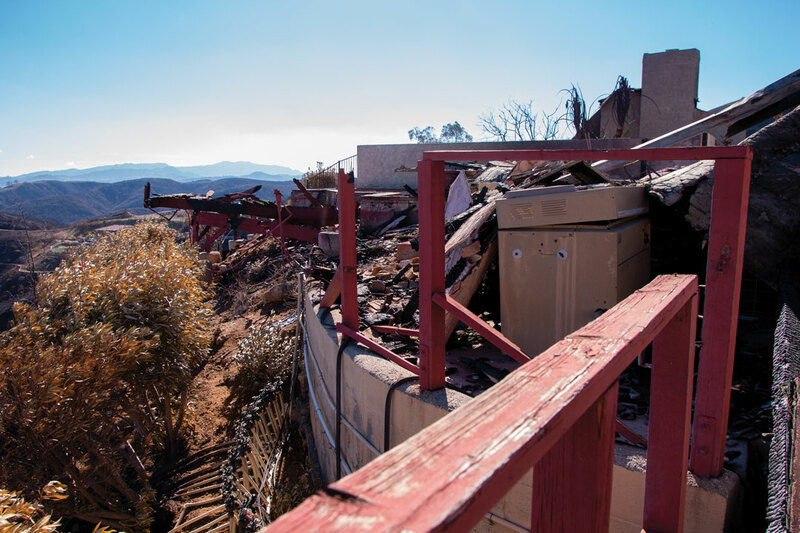 For Gebler in West Hills the evacuation order came Nov. 9 and was lifted Nov. 12. However, this was not the first time Gebler was in a city under evacuation orders. Gebler said she has learned to know what she needs to take with her when she leaves. “You know what’s important to at least get by — what you need — and most things can be replaced,” Gebler said. Gebler said being aware of the environment she lives in is important for preparedness. 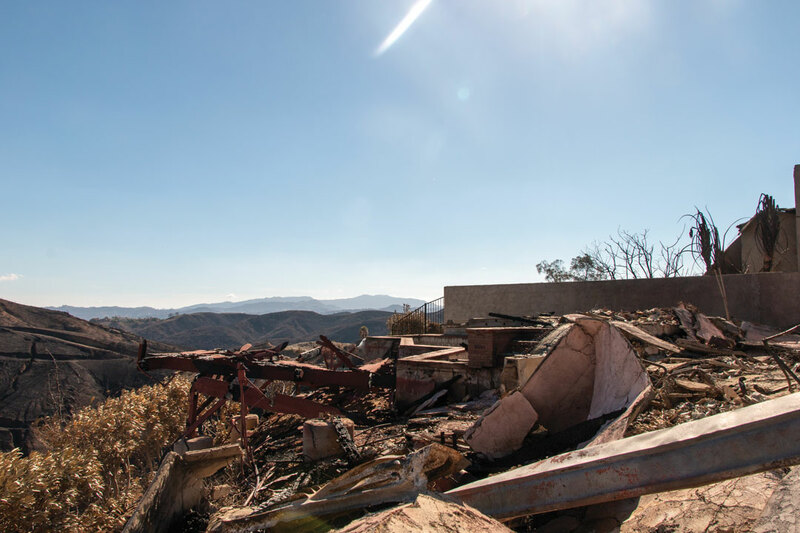 Living in Los Angeles County surrounded by brush and fueled by a Californian drought reminded Gebler of her housing circumstance and which cities are prone to wildfires. Rains helped clear the smoke Nov. 23 and 24. However, they also caused flash floods and mudslides, making the search for missing individuals difficult, particularly in the town of Paradise. U.S. Health and Human Services Secretary Alex Azar announced a public health emergency Nov. 13 because of the evacuation of at least two hospitals and eight other health facilities. The HHC also released a smoke advisory to residents of LA County. 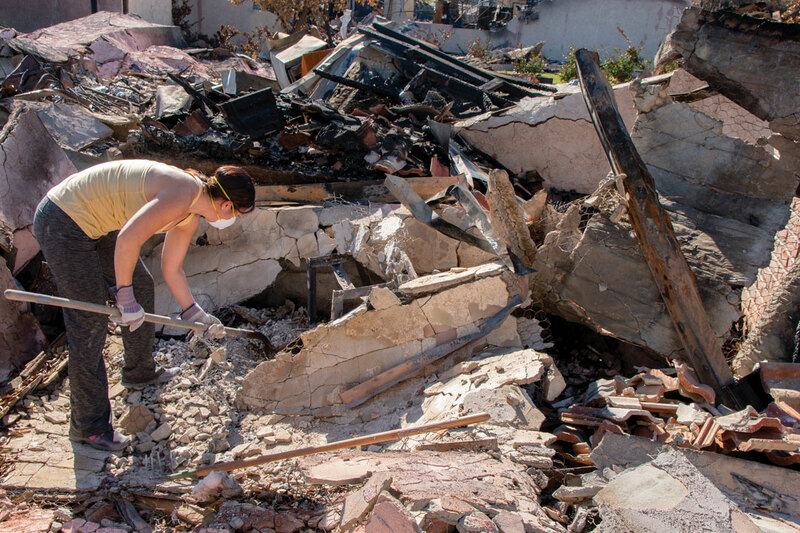 As the smoke blows away and the damage is contained, residents of cities across California will continue together to recover from the devastation as they rebuild their lives and homes.